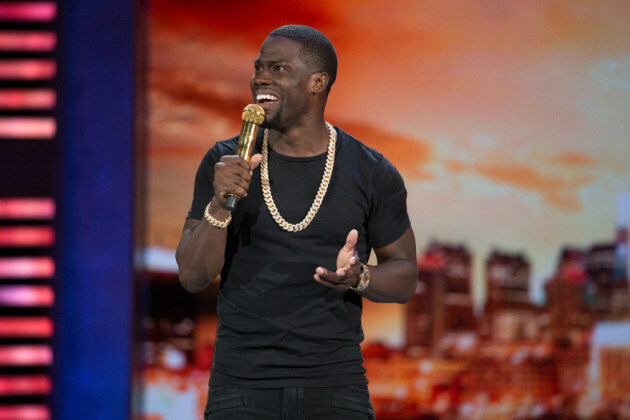 Kevin Hart's performance at Target Center during Super Bowl weekend is sure to draw lots of attention, but the comedian also snuck into the Twin Cities earlier this year to host an episode of his stand-up series, "Hart of the City 2," which premieres Friday night on Comedy Central. The star of the upcoming movie, "Jumanji: Welcome to the Jungle," helped keep his appearance under the radar by choosing to tape at Baddies Comedy Co., a relatively new St. Paul venue, rather than Rick Bronson's House of Comedy or Acme Comedy Company. Hart did tape segments at First Avenue where he makes a few jokes about "Purple Rain" and threatens to post his image on the club's Star Wall. Neither bit resonates as much as much as the sharp material from the four local comics he spotlights. Greg Coleman II, Earl Elliot, Bruce Leroy Williams and Ali Sultan represent well and the fact that they're all minorities might help prove to the rest of the country that Minnesota comics aren't all as white as Louie Anderson. There's a short interview segment in which Sultan thanks Hart for the opportunity. "This is history," said Sultan, who moved here from Yemen 13 years ago. "Nobody from my country has been on TV unless it's for FBI's most wanted list." Keep an eye out for an audience shot of former Vikings punter and current KFAN reporter Greg Coleman, captured laughing as his son scores on stage. "Hart of the City 2" airs 10 p.m. Fridays on Comedy Central. Mo Alexander, who appears on next weekend's Memphis-based episode, is performing at Royal Comedy Theatre in Hopkins through Saturday.